Earning your degree is an important achievement. Having access to “life tools” for continued success is also essential. Regent student resources will help you thrive. We invite you to explore Academic Advising now. You may also access Career & Talent Management, Mental Health Counseling, and more in the tabs below. The experienced staff and online Career Development Center of Regent University’s Office of Career & Talent Management (CTM) provide excellent resources for life. Regent Counseling Services, a part of the Department of Student Services, provides free professional counseling to any Regent students who are enrolled in at least one class and are able to come to the Virginia Beach campus. Services include individual counseling, group counseling, pre-marital/marriage counseling, assessments, and psychoeducational workshops. All counseling is provided or supervised by licensed professionals, is completely confidential, and adheres to all laws and ethics that govern the counseling profession. Counseling services are available free of charge to all Regent students. Student must be currently enrolled in at least one class and must come to campus to receive services. During the summer and winter breaks, students may participate in counseling as long as they are registered for the following semester. Schedule appointments through TherapyPortal, accessible from any device with internet access. You will need to be registered with Counseling Services to gain access to the portal. These forms may become necessary at some point during a client’s treatment. * Acrobat Reader must be installed on your computer in order to view these files. 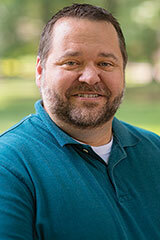 “Robbie” joined Regent University in February of 2012. With over 20 years of experience in counseling, he has worked with a very large number of individuals, groups, and families facing a plethora of mental health issues. His work experience includes school-based drug and drop-out prevention, delinquency counseling (residential and community based), residential drug treatment, private practice, adoption, and church-based counseling. He has also served as a youth pastor and high school Bible teacher. Robbie earned both his bachelor’s and master’s degrees in psychology at Palm Beach Atlantic University in South Florida and has earned professional licensure in Florida (LMHC) and Virginia (LPC). A former college athlete, Robbie is admittedly a sports fanatic and also enjoys fishing and computer gaming. A nurse practitioner is available to all on-campus students, inclusive of those residing in campus housing as well as commuters (both undergraduate and graduate), who are in need of minor healthcare services on campus. The nurse practitioner can provide a higher level of care than a nurse and has the authority to write prescriptions. A portion of the University Services Fees for on-campus students grants students the ability to visit the Health Center as many times as necessary. If additional care is needed, students have access to physician partners nearby on Providence Road at Sentara Family Medicine Physicians Please note: allergy shots cannot be administered on campus. When can I come and where do I go? The Health Center is open from 9 a.m.-5 p.m., Monday-Friday. The center is closed when the university is closed for various holidays including Christmas break when the university shuts down, during emergency closures due to weather or other unexpected events. The Health Center is located in room 103 of Constitution Hall in the Regent Commons. No appointment is needed. Contact us at 757.352.4953 or via email at healthcenter@regent.edu. What about after hours/on weekends? What if this is an extreme emergency? Because of the unique mission and resources associated with Regent University, a number of centers have been developed to engage in those activities that further extend our outreach and influence in the world. To learn more about the individual centers, please visit the websites listed below.